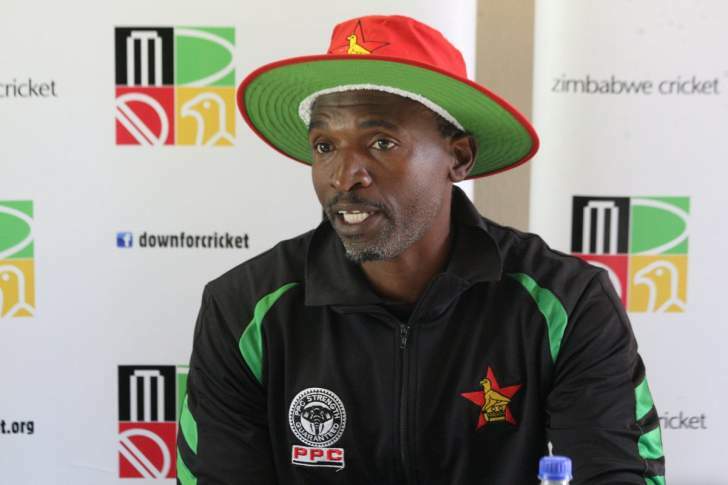 ZIMBABWE Cricket (ZC) has announced a 17 men squad that will play in the Twenty20 (T20) international triangular series against Australia and Pakistan starting this weekend. The series will run from June 28 to the July 8 at the Harare Sports Club. Some of the players have vowed that they will not play if there are not paid outstanding salaries and allowances. ZC yesterday went ahead and announced the squad and interim convenor of selectors Walter Chawaguta said that the players that they have selected have availed themselves for the series. The triangular series marks the beginning of preparations for the World T-20 whose finals will be played in Australia in 2019. Brendon Taylor, Sean Williams, Graeme Creamer, Craig Ervine and Sikandar Raza are all missing from the squad. Chawaguta said that they considered players that have been playing in the practice matches. "We based our selection with the players that are available. By available I mean today we have just finished the T20 practice match and these entire players that are being looked at here with the exception of Elton Chigumbura who is currently not feeling well. My assumption is that everyone is available. I have no reason to believe otherwise", he said. Interim head coach Lalchand Rajput is pleased with the talent in the country as well as the squad that has been put in place. "I think the talent is abundant, we just have to give the right guidance. That is why I wanted time with the boys and I am very impressed with the talent. He is not worried about the unavailability of some of the key players who have issues with ZC over outstanding salaries. "To be honest, I just look at the players that are available and the best we have picked. My job is to get the best 17 prepared for the try series. "I am not interested in who is available and who is not; my job is to ensure that the people that are available will perform better for the try series." Cephas Zhuwawu, Chamunorwa Chibhabha, Brain Chari, Tarisai Musakanda, Malcom Waller, Peter Moor, Tendai Chisoro, Kyle Javis, Brandon Mavuta, Blessing Muzarabani,Chris Mpofu, Ryan Burl, Solomon Mire, Ryan Murray, Hamilton Masakadza, Wellington Masakadza, Elton Chigumbura.